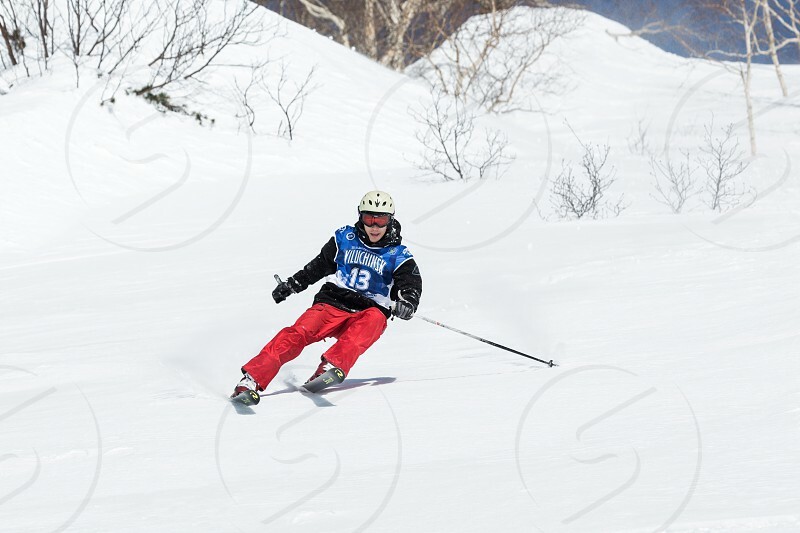 KAMCHATKA, RUSSIA - MARCH 9, 2014: Skier rides steep mountains. Competitions freeride snowboarders and skiers &quot;Kamchatka Freeride Open Cup&quot;. Russia, Far East, Kamchatka Peninsula.